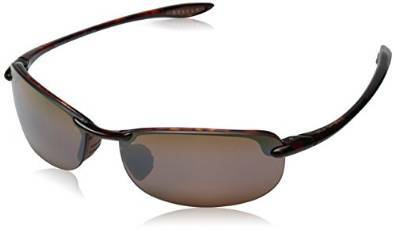 Buy Maui Jim Wailea polarized sport sunglasses online and make big savings. 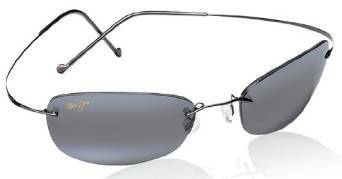 Quality but cheap Maui Jim sport sunglasses at the best prices. 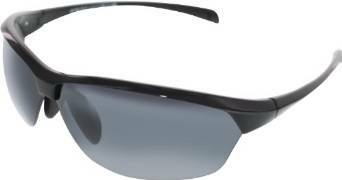 This model of Maui Jim polarized sunglasses are perhaps one of the more technologically advanced sport sunglasses on the market today. If you're looking for the newest and most innovative sunglasses that are comfortable, lightweight, and affordable, then these are the perfect shades for you. 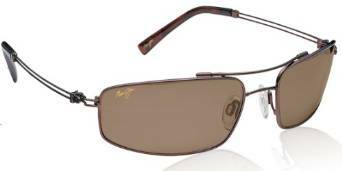 Maui Jim Sunglasses are lightweight and very durable. One of the big reasons why they are so lightweight is the fact that they are made with much less material than other glasses on the market. The hinge less design eliminates the need for heavy and bulky metal material that simply weighs down the glasses. Instead, the Maui Jim sunglasses are made without any hinges at all. These sport sunglasses come equipped with adjustable nose pads which allow you to find the perfect fit for your face. The nose pads are made with a soft silicon material which provides you with the most comfortable wearing experience possible. Once you've had the opportunity to wear glasses with adjustable nose pads, you'll never go back to fixed position pads again. These are definitely activewear sunglasses and are perfect for extremely active outdoor activities and sporting events. The hinge-free flexible and durable design of the glasses makes them very durable, and the best part is that the fit tightly and securely to your head so you don't have to worry about them falling off. The lenses are made of highly durable polycarbonate material and are polarized which provides increased clarity to your viewing area. The lenses do not have a wire frame around them so your viewing area is maximized due to this fact. Instead, the where side arms attach to the very edge of the lenses and in the middle by the nose pads. The wire components on these glasses are made from titanium which is a very durable material that can withstand maximum wear and tear. This means that the glasses are going to last for quite some time before you have to think about buying a new pair. One other thing worth mentioning is that the glasses are made with lenses that are designed to prevent glare from a number of different sources. This can help ensure that you always have a clear field of vision that is not obstructed by blinding glare from glassy, reflective type surfaces. 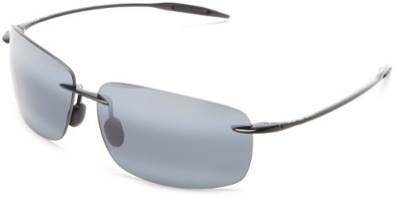 The Maui Jim Wailea Sunglasses are a slim, sleek, and durable pair of glasses that will almost certainly satisfy your needs for sport sunglasses.